Apart from innovative technology and ideas that power lives daily, we need to credit two of our factories that have catapulted us to the highest peak in the wires and cables industry. It’s because of them that we have acquired an identity as the best wires and cables manufacturers in India along with a strong international presence. 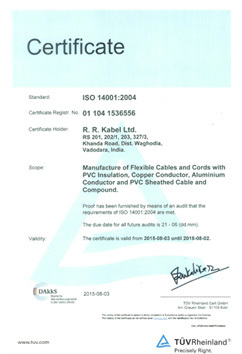 RR Kabel has always strived to offer best quality products to the market on time. In order to achieve this, RR Kabel has set up manufacturing plants at two places in India. These manufacturing plants are located at Silvassa and Waghodia. The manufacturing plants are well-equipped with modern machinery for producing quality products. 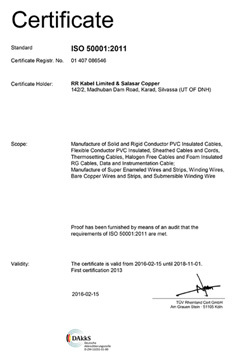 All the plants are ISO 9001: 2015, 14001 : 2004, 18001 : 2007 and 50001 : 2011 certified. All these plants are continuously upgraded to offer quality outcome. 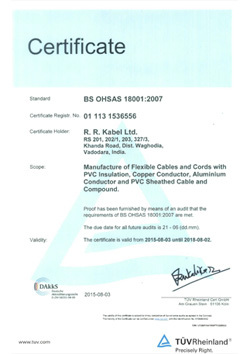 They have an excellent safety record, making RR Kabel wires and cables toppers of their range.